results were not expected, instead of may January is getting populated. 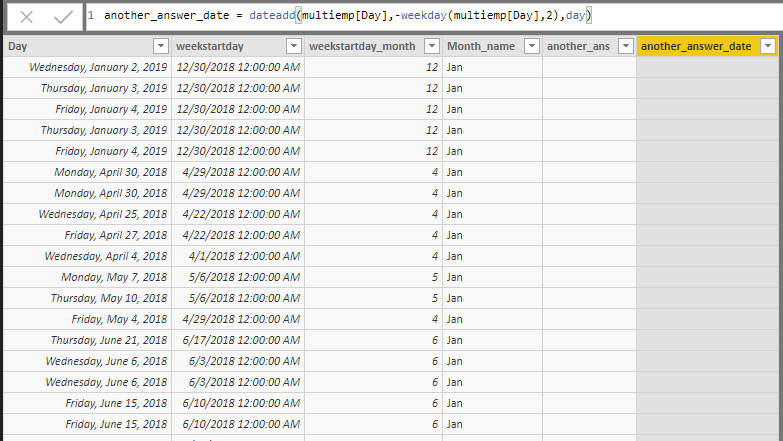 EDIT: Day 2 Modified the datatype of the column to date time/timezone. 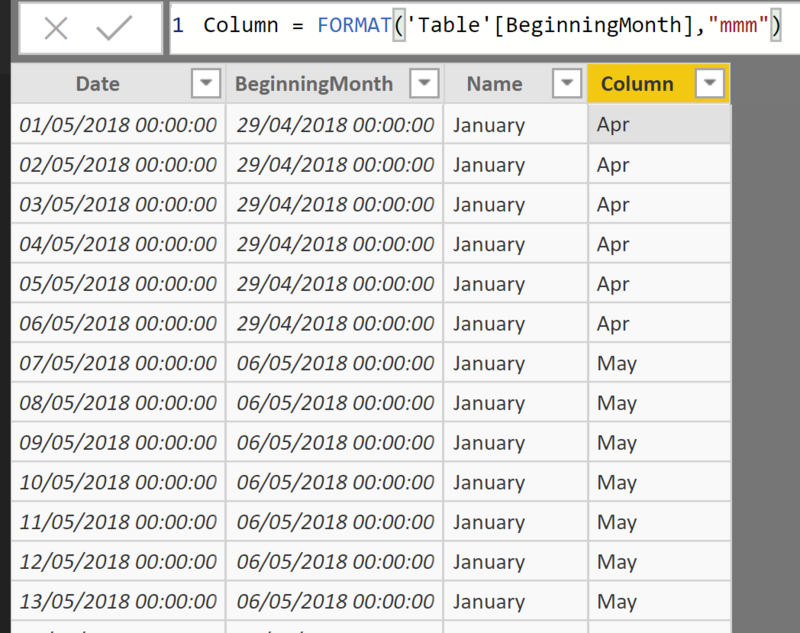 Format the column instead of repeating the column DAX statement. 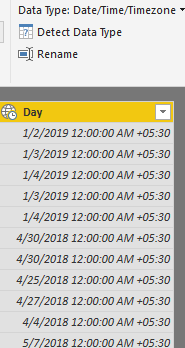 Verify that date column is date or date\time type. Not the answer you're looking for? Browse other questions tagged powerbi dax powerbi-desktop or ask your own question. Why does operator <= (less than or equal) not return expected result when date is variable?